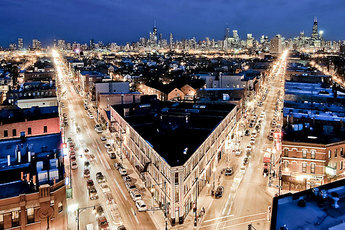 The West town community area in Chicago is where you will find Wicker Park, a neighborhood of about 26,000 residents. Wicker Park is known for its nightlife, art culture, gourmet restaurants, Euro-Style Cafes and has some of the best boutique shops for men and women. Forest Security is proudly family owned and operated. We have served Wicker Park and the entire Chicagoland Area for over 35 years. Your security/automation systems is completely customized for you to ensure both safety and convenience. Whether you have a studio apartment or a large family home, your complete satisfaction is our top priority. Our Security Specialists, our excellent Customer Service Representatives and our highly trained Technical Staff work in unison to ensure your security and complete peace of mind.